Fasting in Ramadan can help improve a person’s health, with a correct diet to be followed and if not can possibly worsen it! The deciding factor is not the fast itself, but rather what is consumed in the non-fasting hours. To fully benefit from fasting, a person should spare a great deal of thought to the type and quantity of food they will indulge in through the blessed month. Overeating can not only harm the body but it is thought also to interfere with a person’s spiritual growth during the month. 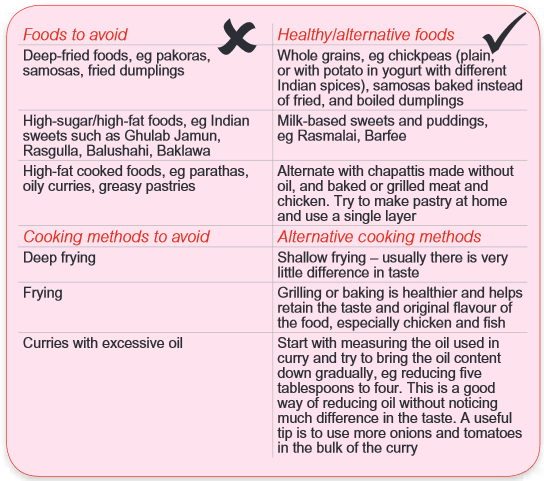 A diet that has less than a normal amount of food but is sufficiently balanced will keep a person healthy and active during the month of Ramadan. The diet should be simple and not differ too much from one’s normal everyday diet. 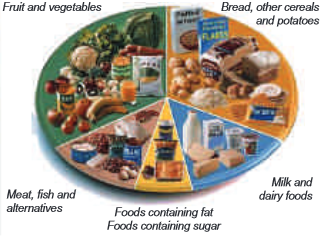 It should contain foods from all the major food groups, as shown below. Complex carbohydrates are foods that will help release energy slowly during the long hours of fasting. Complex carbohydrates are found in grains and seeds, like barley, wheat, oats, millets, semolina, beans, lentils, wholemeal flour, basmati rice, etc. 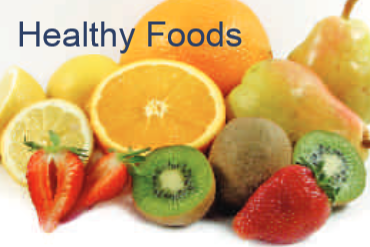 Fibre-rich foods are also digested slowly and include bran, cereals, whole wheat, grains and seeds, potatoes with the skin, vegetables such as green beans and almost all fruit, including apricots, prunes, figs, etc. Suhoor , the pre-dawn meal, should be a wholesome, moderate meal that is filling and provides enough energy for many hours. It is therefore particularly important to include slowly-digesting foods in the suhoor . Iftar is the meal which breaks the day’s fast. This meal could include dates, following the Prophetic traditions. Dates will provide a refreshing burst of much-needed energy. Fruit juices will also have a similar, revitalising effect. The meal should remain a meal and not become a feast! Try to minimise the rich, special dishes that traditionally celebrate the fast and keep to the advice included in the table opposite. Many of the foods which are mentioned and encouraged in this booklet are in the Holy Qur’an, and the Sunnah (the Prophetic traditions) also correspond to modern guidelines on a healthy diet and will help to maintain balanced, healthy meals in Ramadan. The most commonly consumed foods by Prophet Mohammed (peace be upon him) were milk, dates, lamb/mutton and oats. Healthy foods mentioned in the Holy Qur’an are fruit and vegetables, such as olives, onions, cucumber, figs, dates, grapes as well as pulses such as lentils. The encouragement of fish can be seen in the fact that Islamic law spares fish from any specific slaughter requirements, making it easy to incorporate fish in a meal.